Casino Tropez is an online casino that was established more than 10 years ago, back in 2001. Since that time, the casino has built a solid reputation with discriminating customers all over the world. The casino is operated by Universe Entertainment Services Malta Limited; licensed and regulated by the Malta Gaming Authority. Casino Tropez delivers content to you using Playtech online casino software in a download version that you can install on your Windows PC, or you can play the games instantly right from the website in a no download version that is compatible with Windows PC, Apple Mac, or Linux computer. 100% up to R1,000 Deposit Bonus. New players who sign up now are eligible to receive a generous Welcome Package with a 100% Deposit Match Bonus up to R1,000. As an existing loyal member, you can take advantage of a lucrative VIP Loyalty Club. 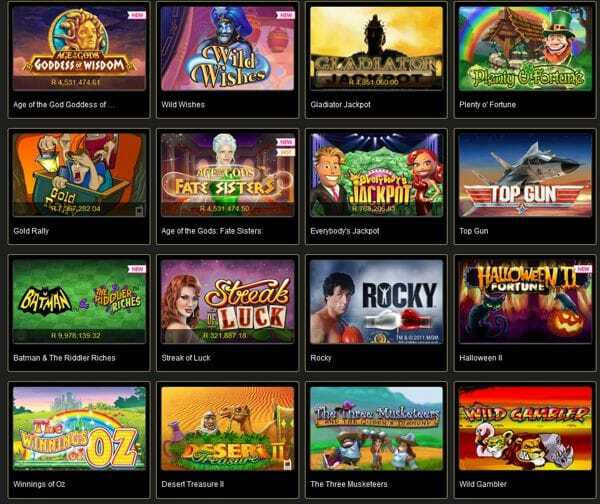 There are casino games like classic 3 reel slots, multi-payline 5 reel slots, table games, card games, arcade games, and many more. There are live dealer casino games available as well, such as Blackjack, Roulette, and Baccarat. Additionally, all the games are independently tested by GLI testing labs. GLI is an established and well-respected company that carries out independent tests on the fairness and accuracy of casino games. You can also play while on the go using your hand-held mobile devices by using your mobile browser and navigating to the casino website. The games are fully optimized for mobile play on your iOS, Android, Blackberry, or Windows Smartphones. There is a professionally trained customer support staff on hand 24/7/365 through live help, or you can contact them through email or by telephone. Be sure to check the ‘Help’ page for details. Casino Tropez has a safe and secure gaming environment that has been online for more than a decade. There is a customer support staff available 24/7/365, and plenty of banking options that are safe and secure through 256 SSL encryption technology. You can play the games on the go with fully optimized mobile games on your iOS, Android, Blackberry, and Windows Smartphones, or in the comfort of your home on your desktop or laptop computer.